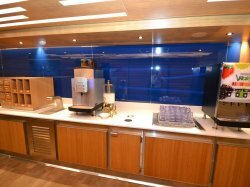 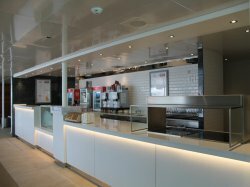 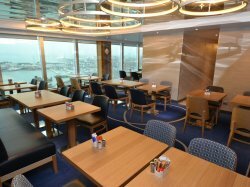 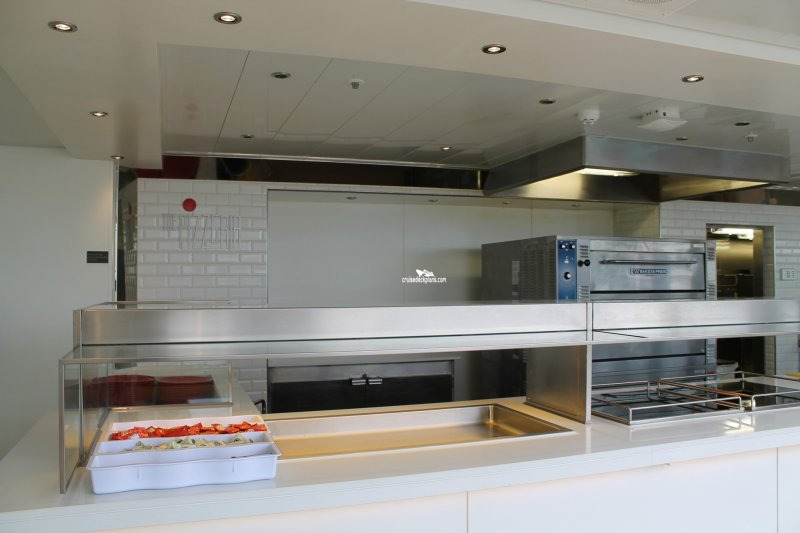 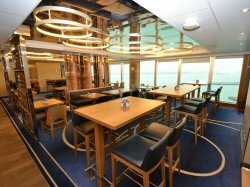 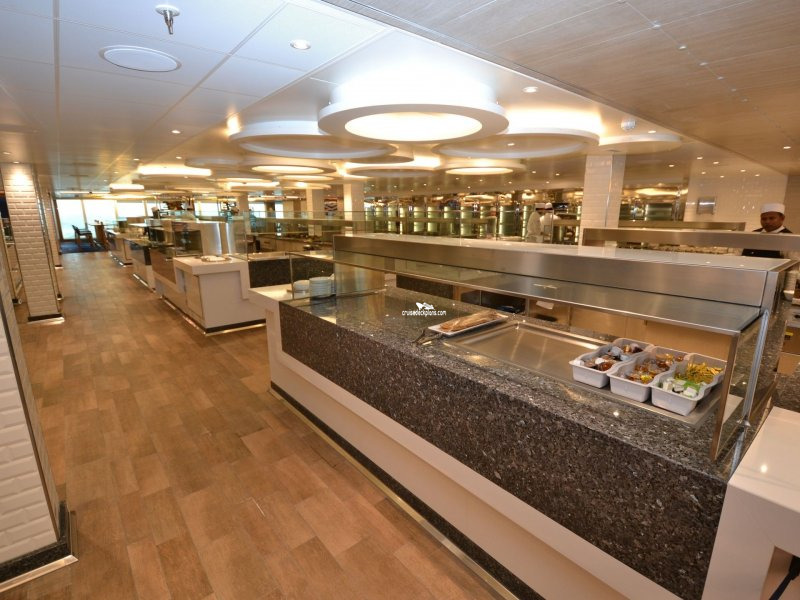 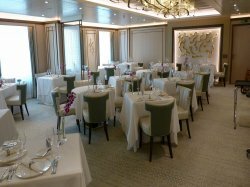 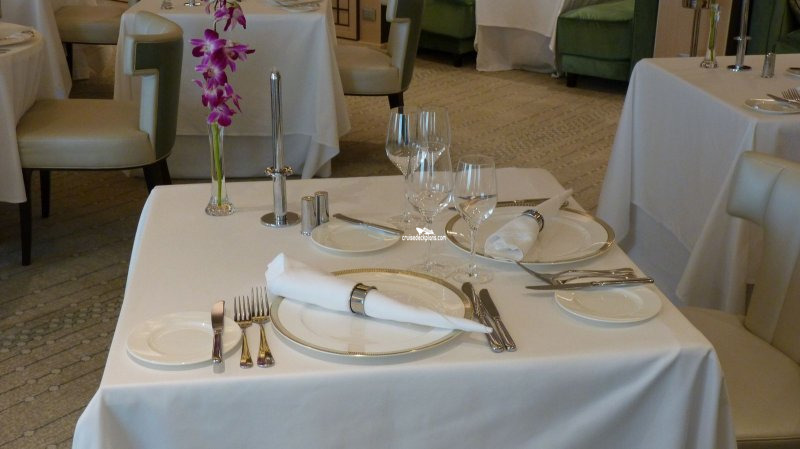 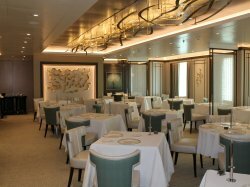 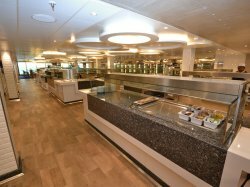 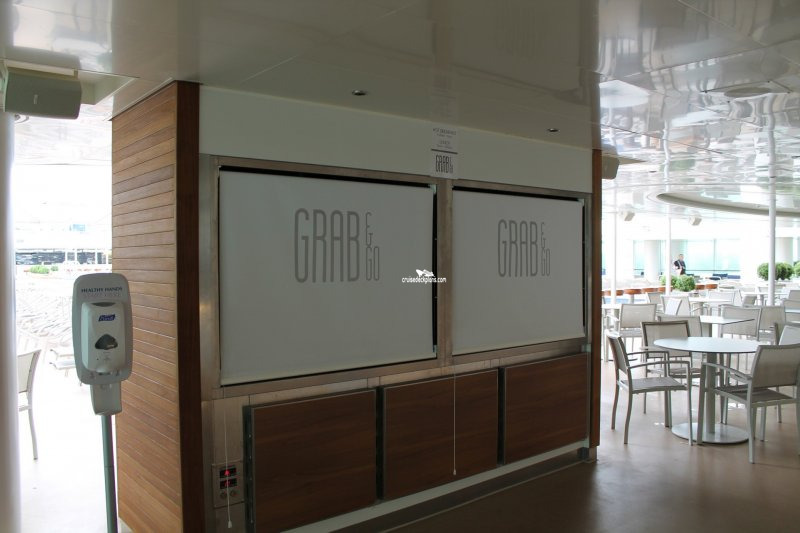 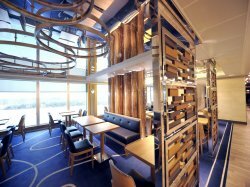 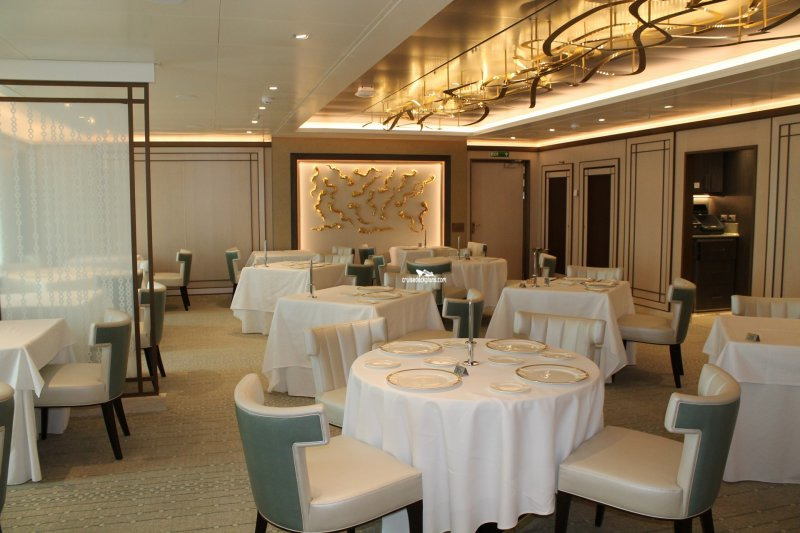 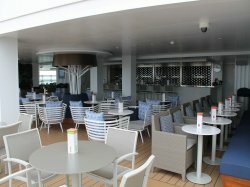 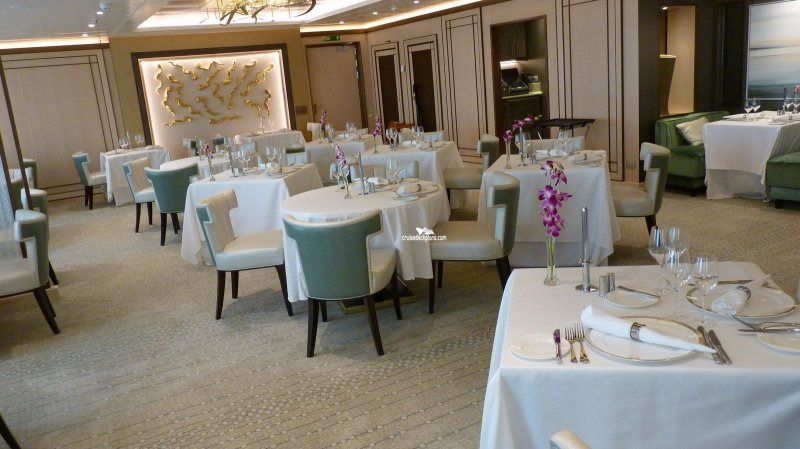 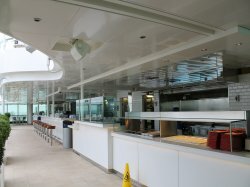 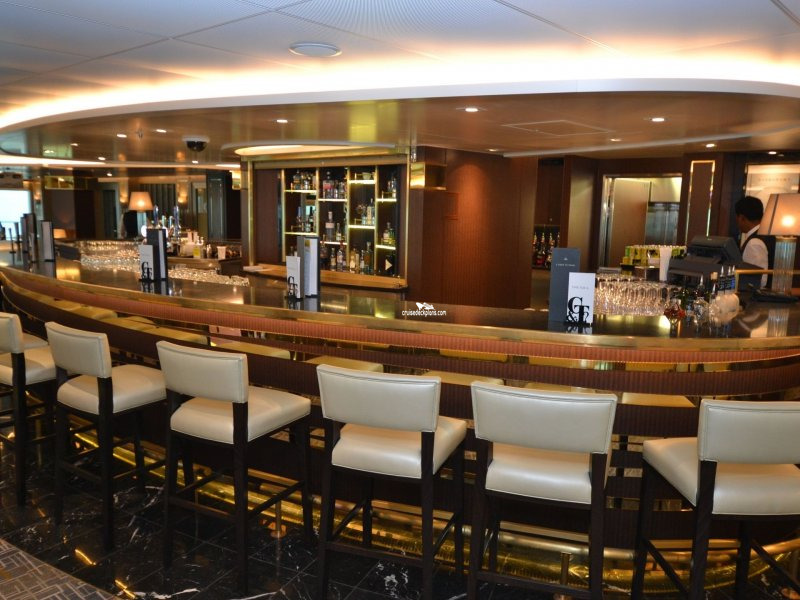 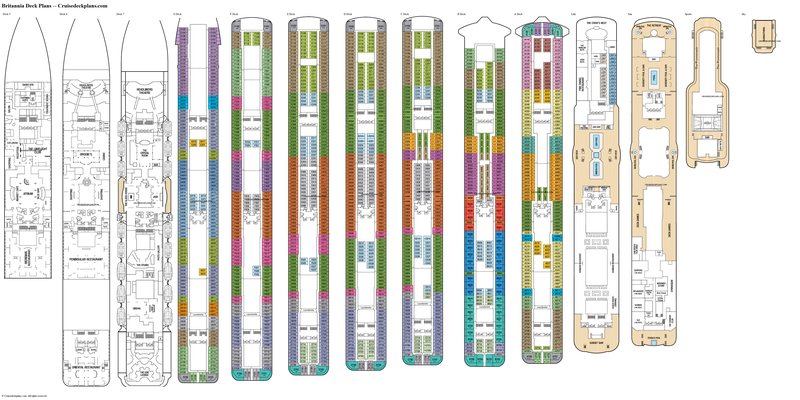 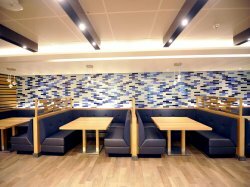 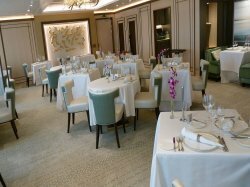 The ship's self-serve buffet restaurant. 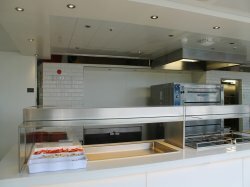 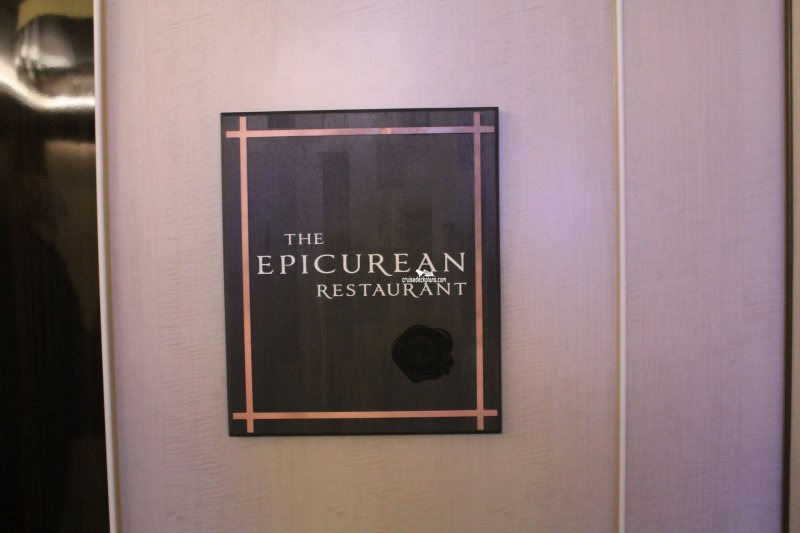 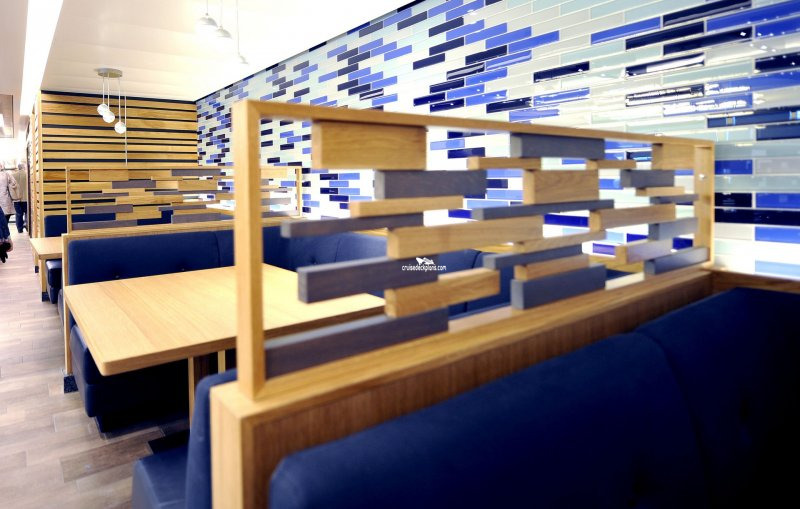 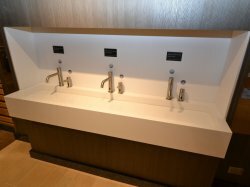 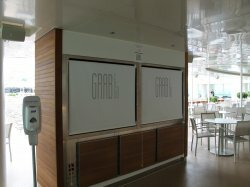 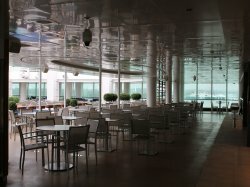 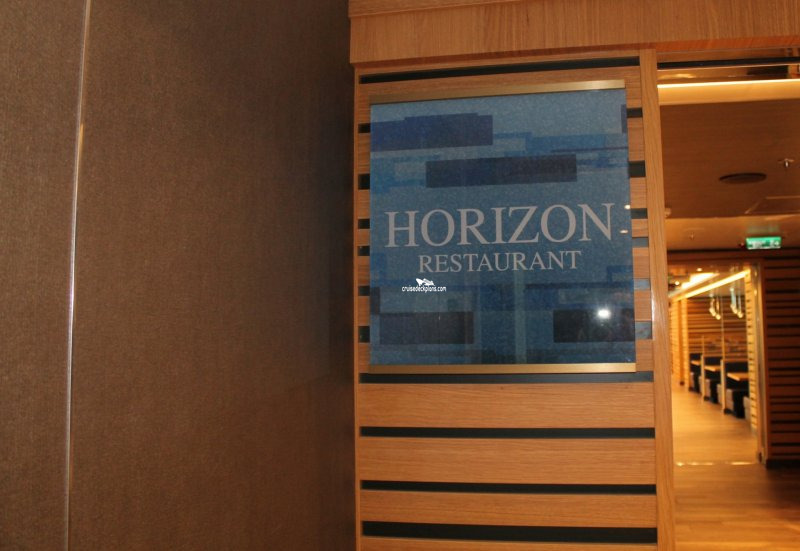 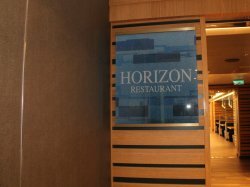 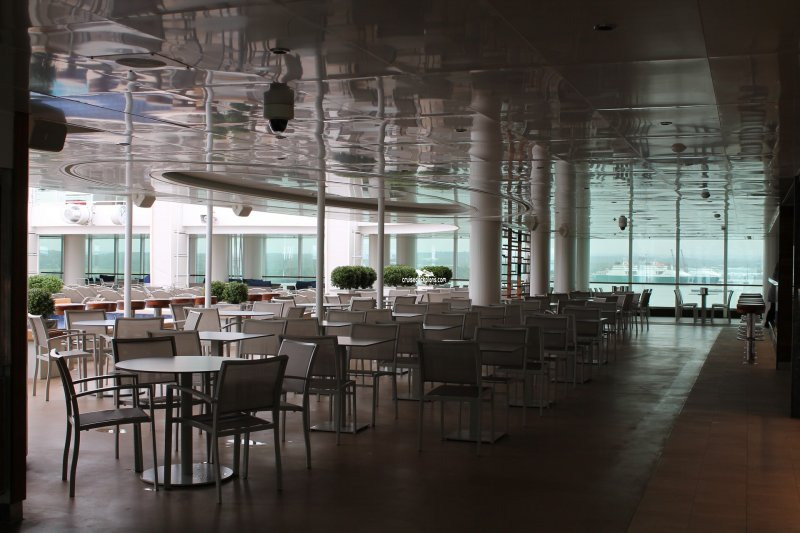 The complimentary food area has self serve food stations and floor to ceiling windows. 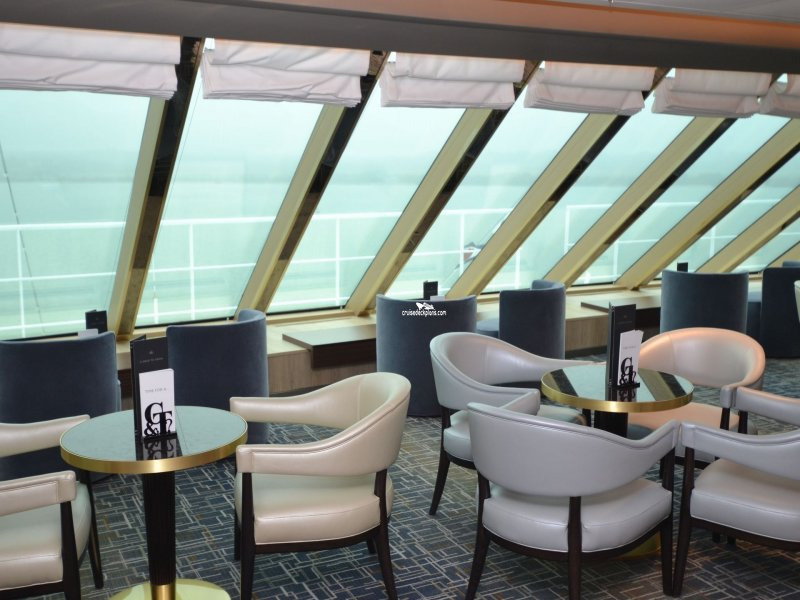 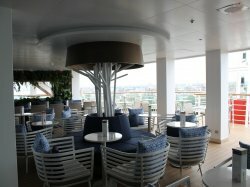 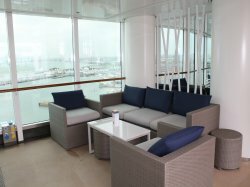 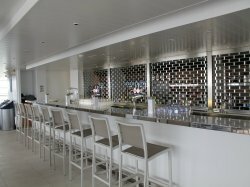 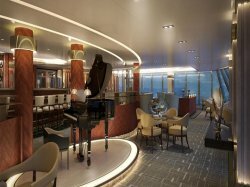 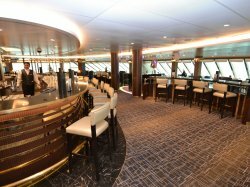 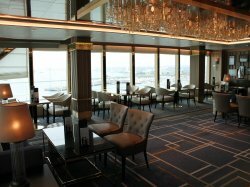 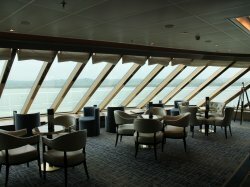 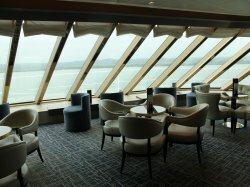 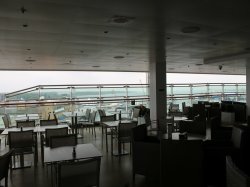 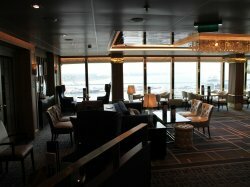 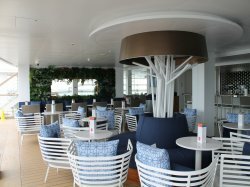 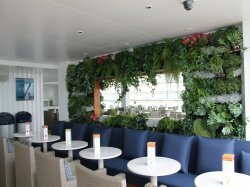 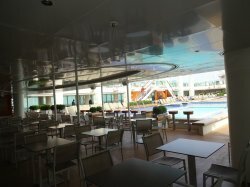 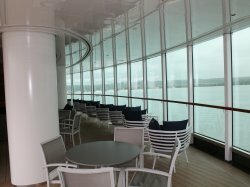 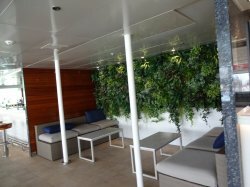 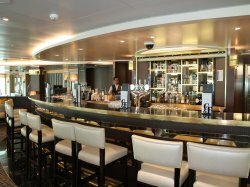 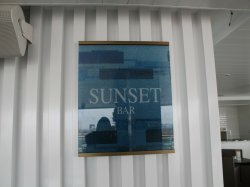 Lounge that offers panoramic views, piano music, and cocktails. 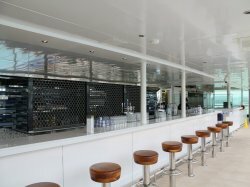 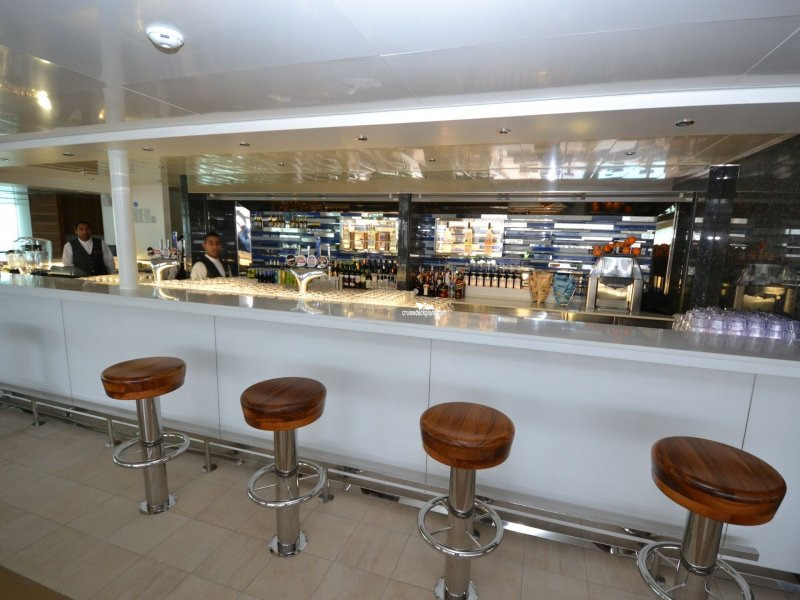 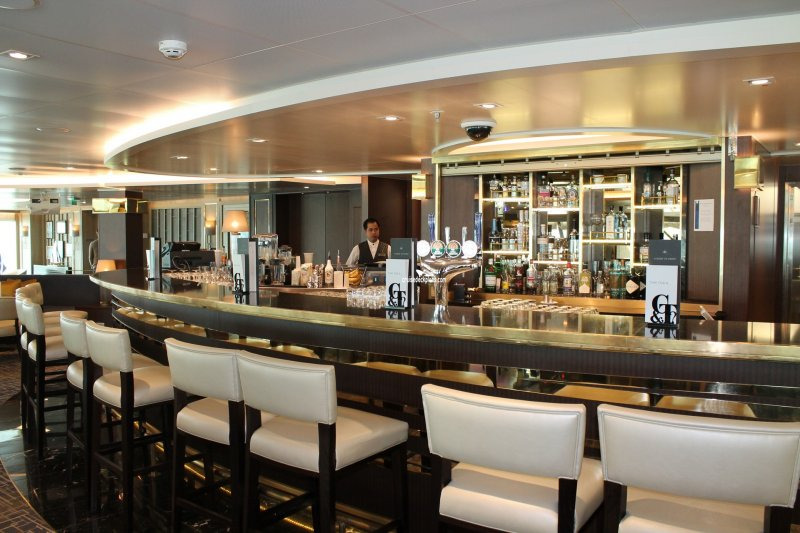 It has its own bar and features slanted floor to ceiling windows. 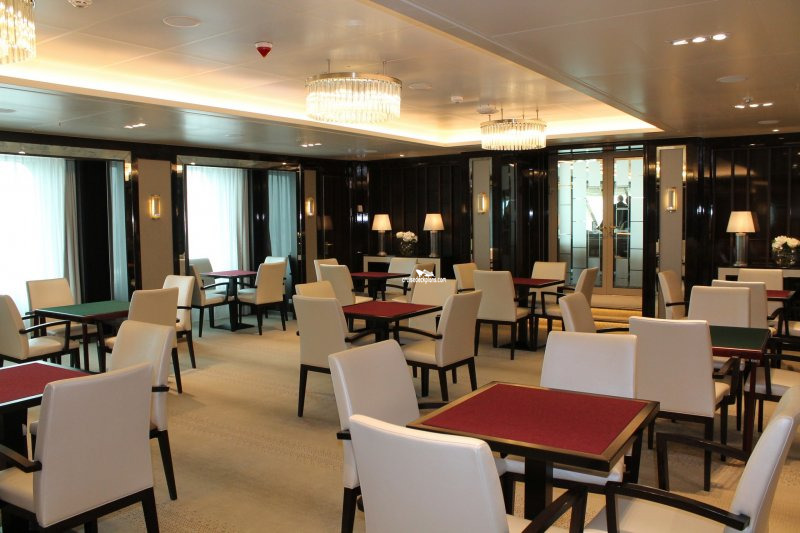 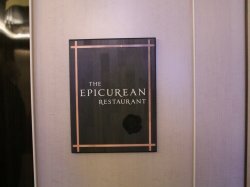 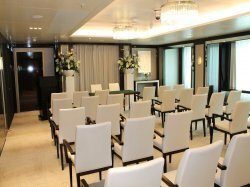 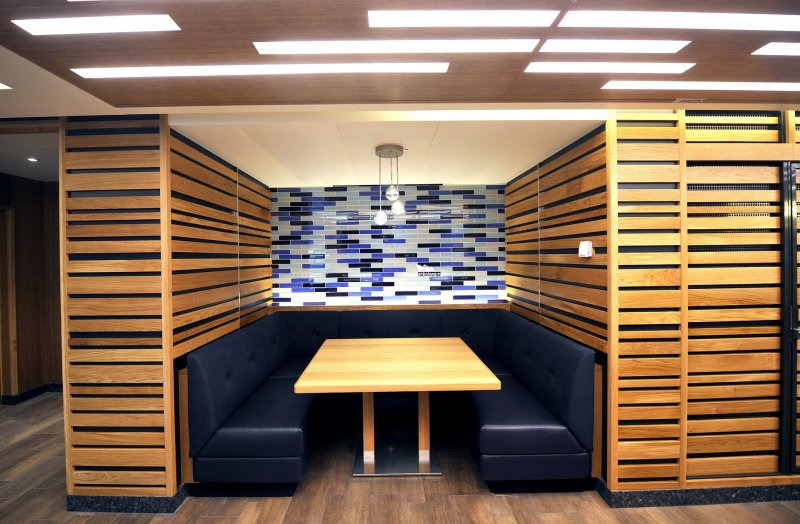 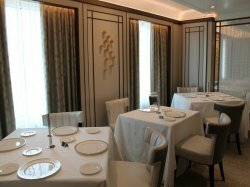 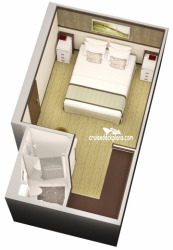 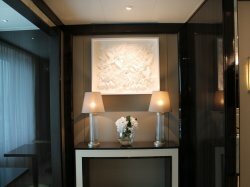 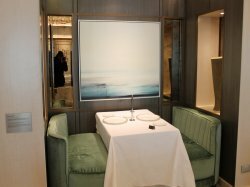 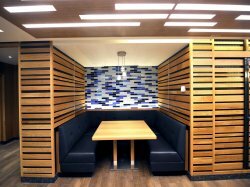 Multi-function room that also serves as a card room with 4-seat square tables. Casual dinner venue that opens in the evenings. 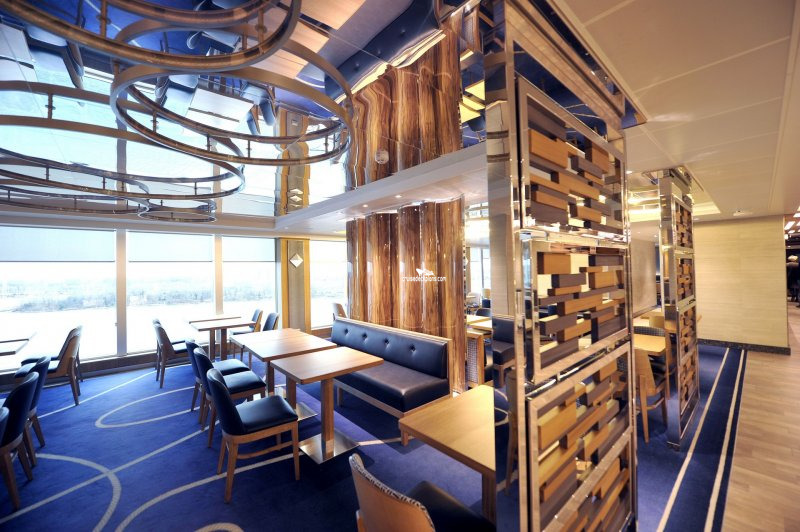 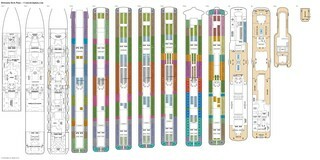 Multi-function room. 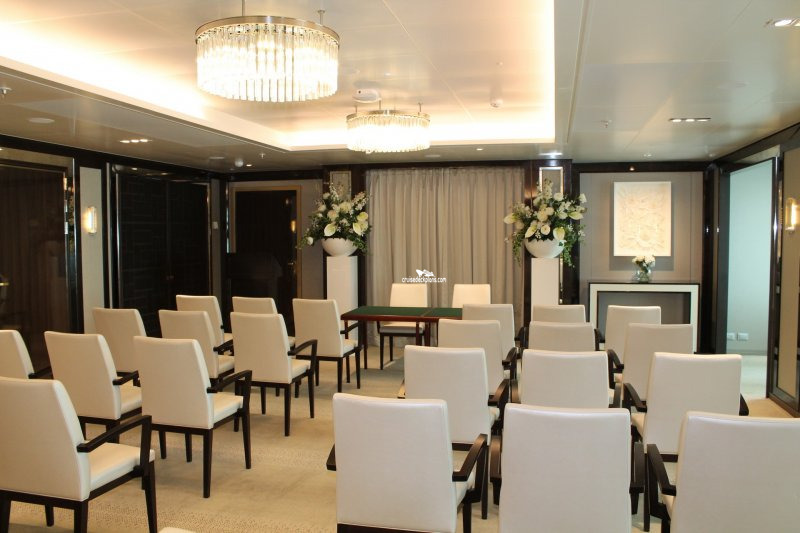 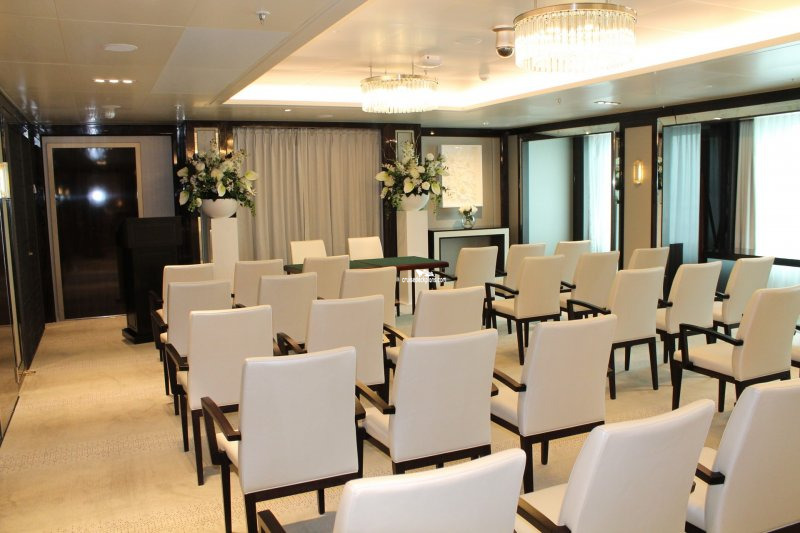 Can seat 40 and is used for weddings and vow renewal ceremonies. 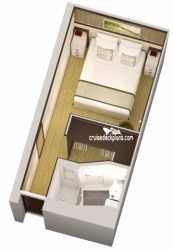 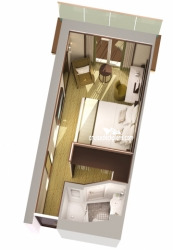 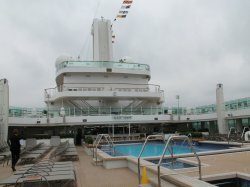 Has 2 pools, 1 whirlpool and loungers. 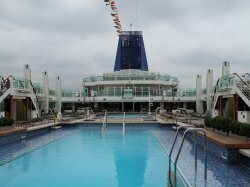 There is also a splash area for kids and a large LED screen for movies. 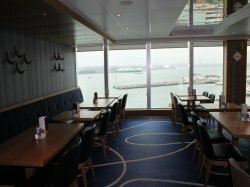 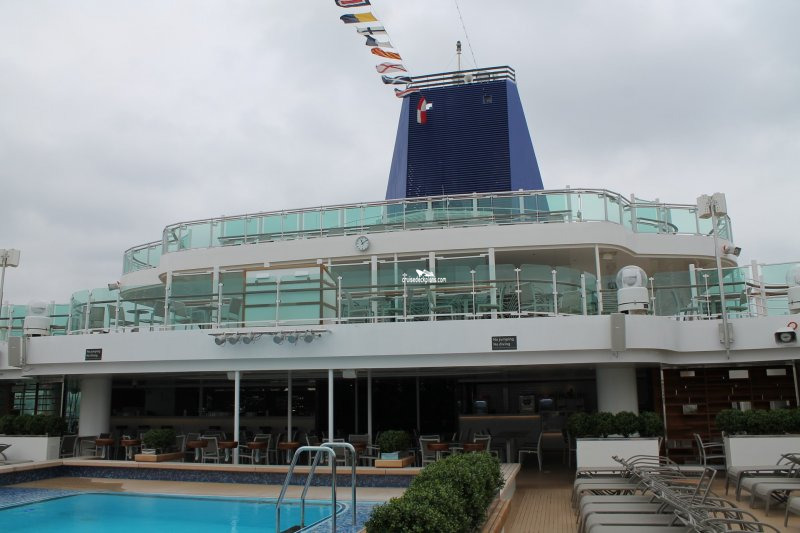 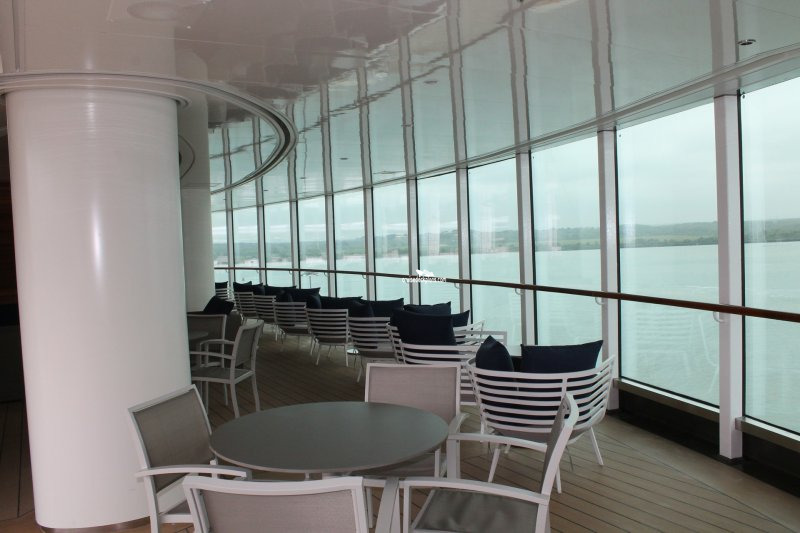 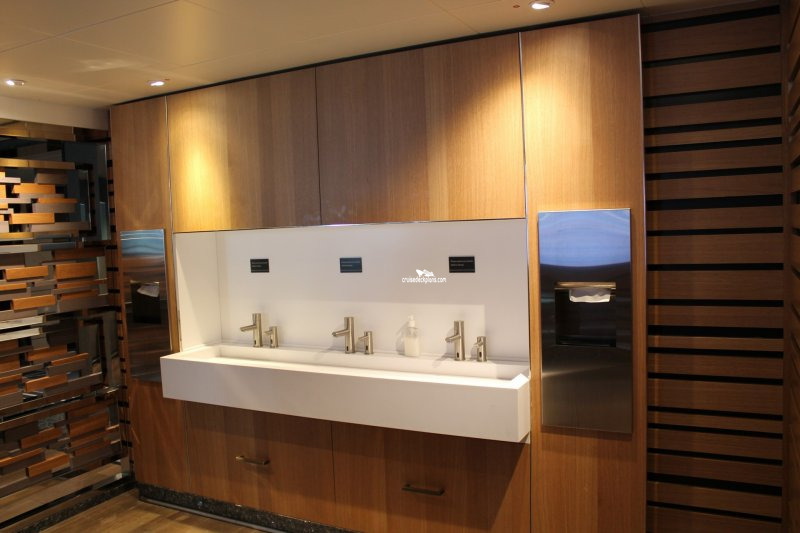 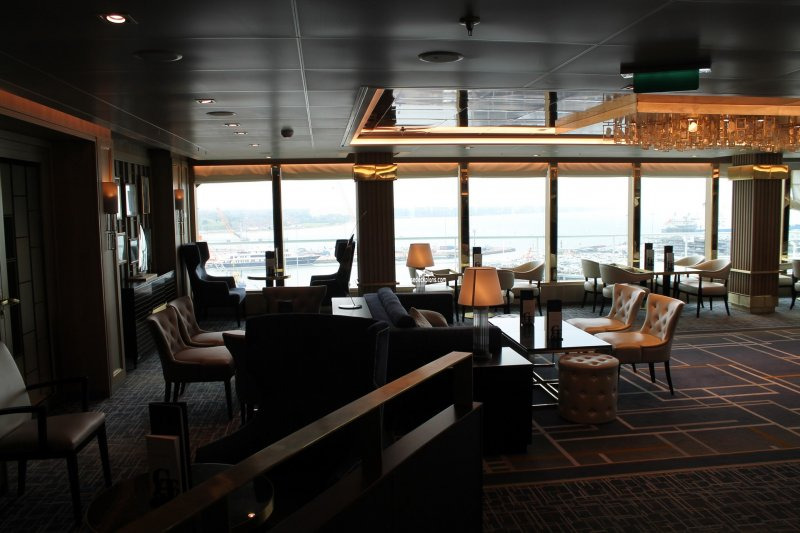 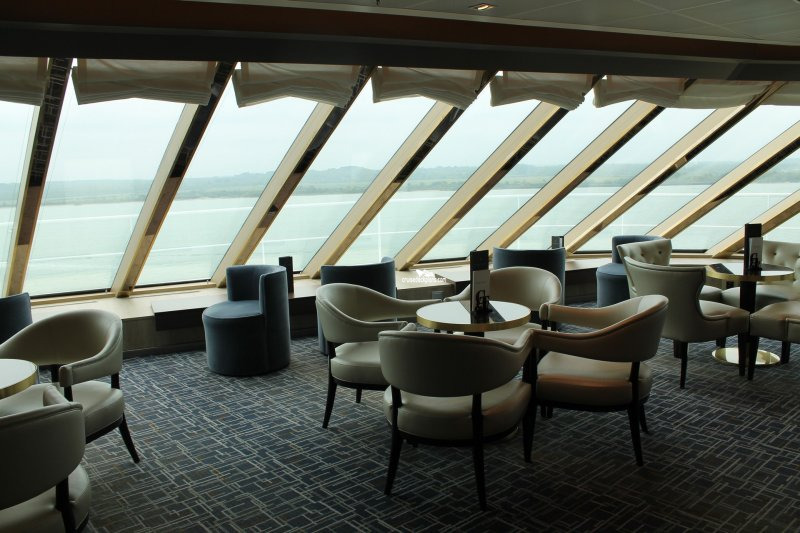 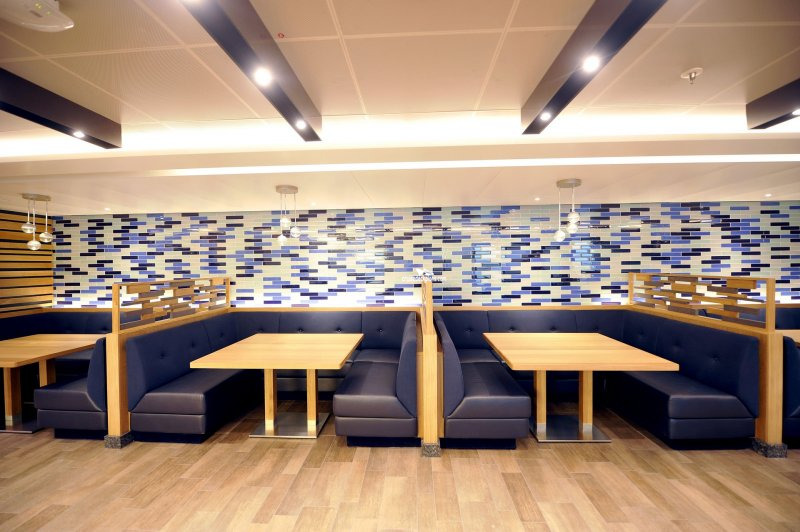 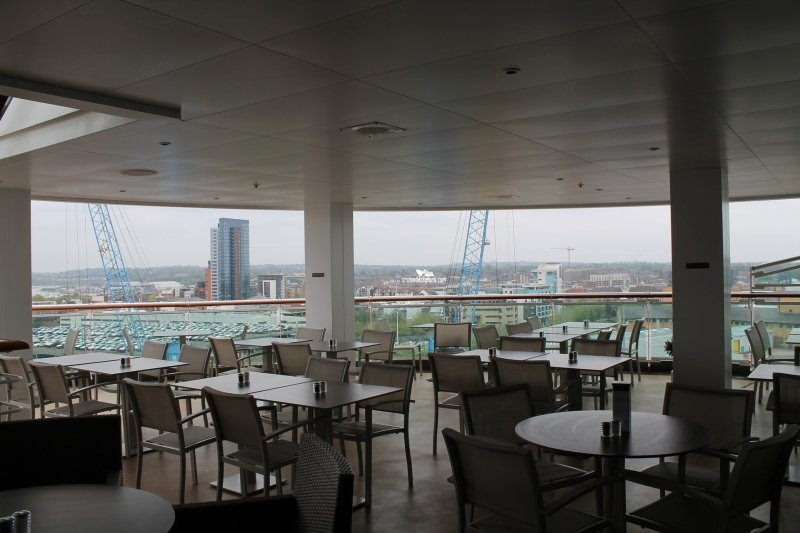 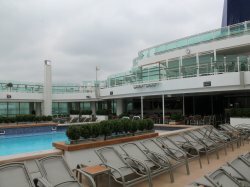 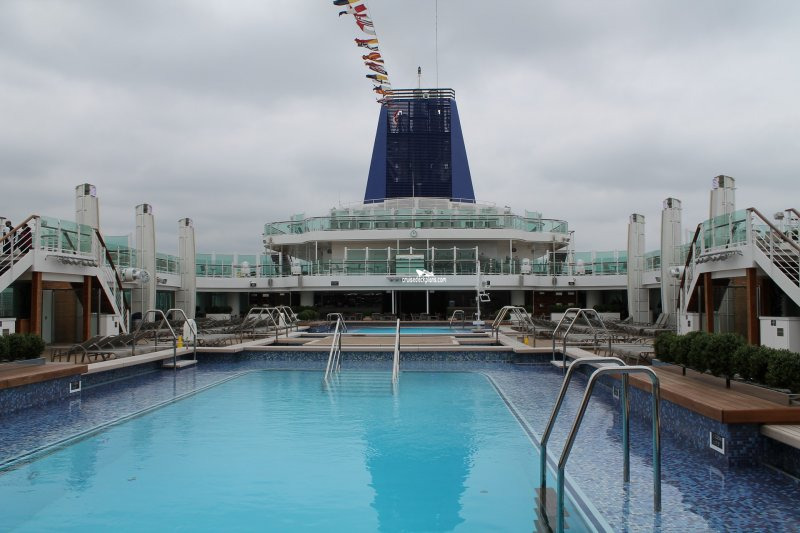 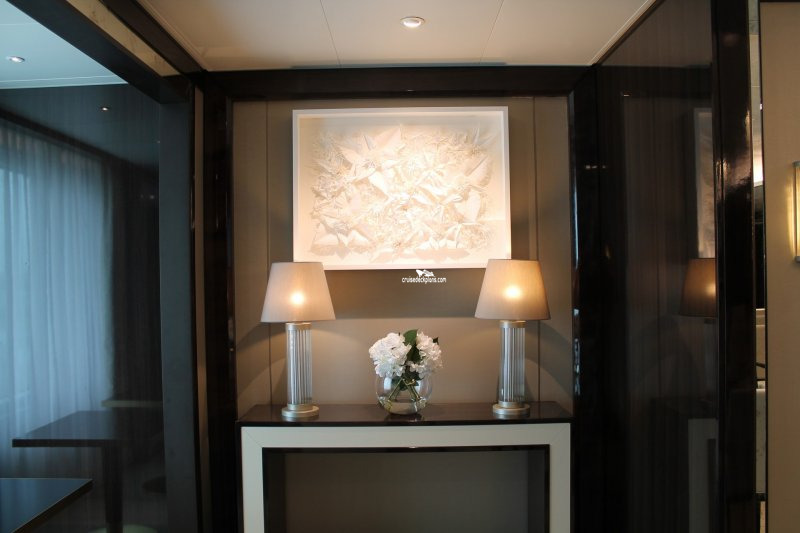 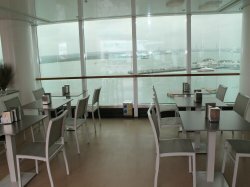 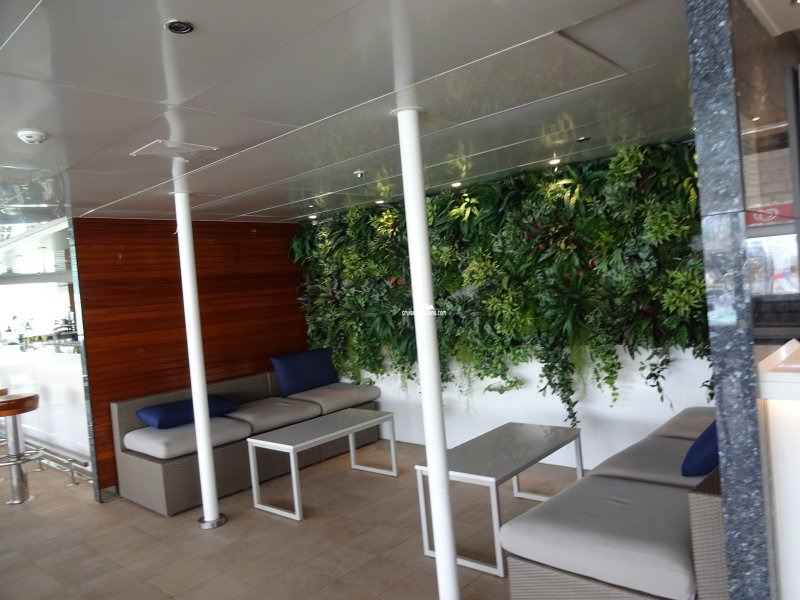 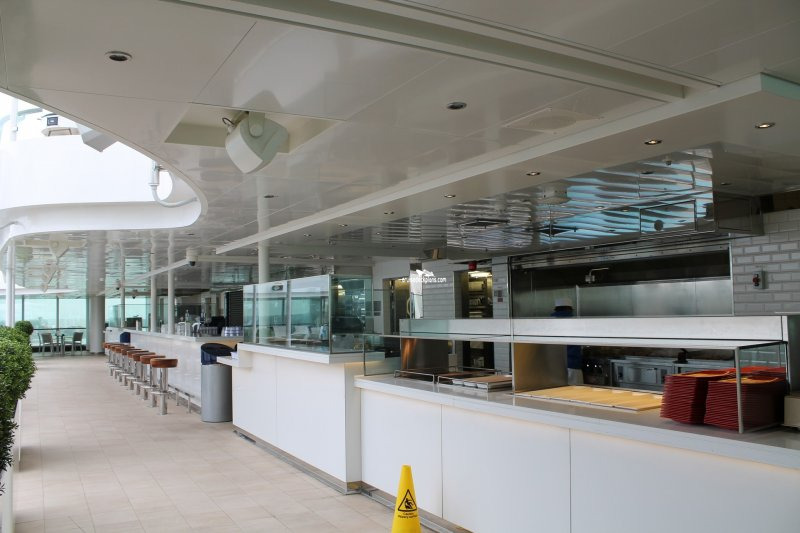 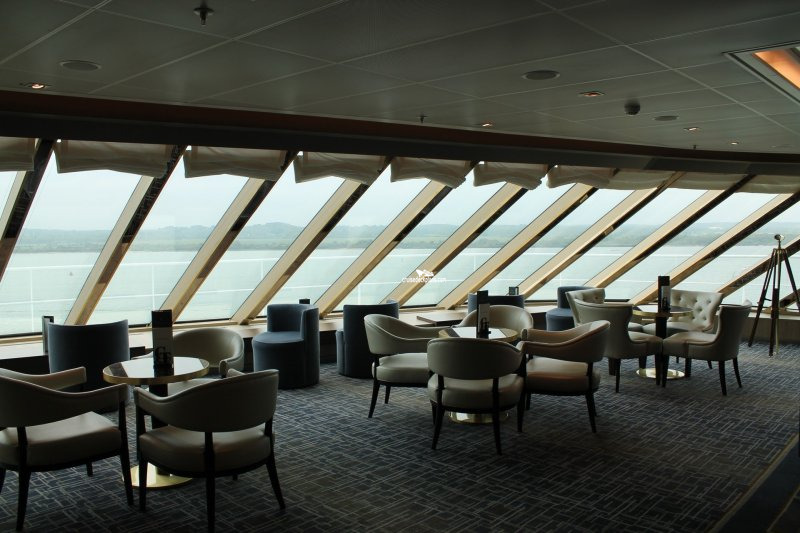 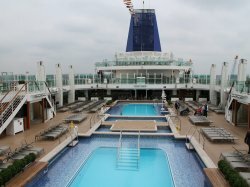 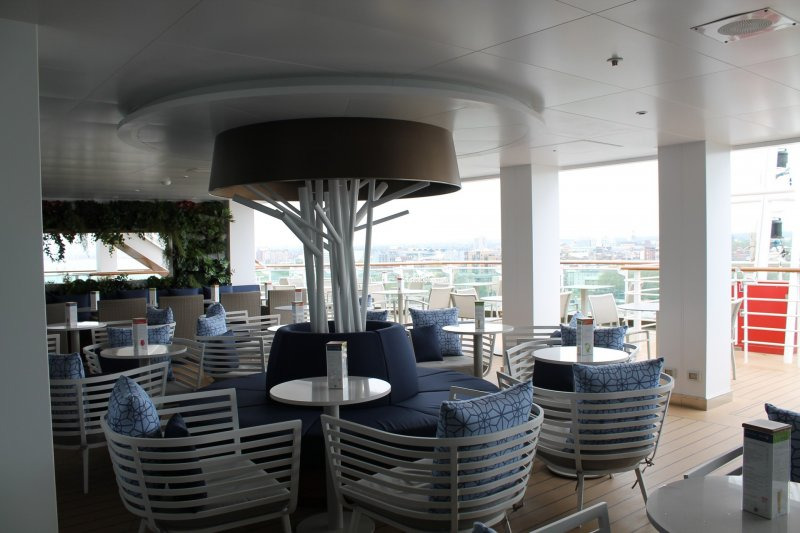 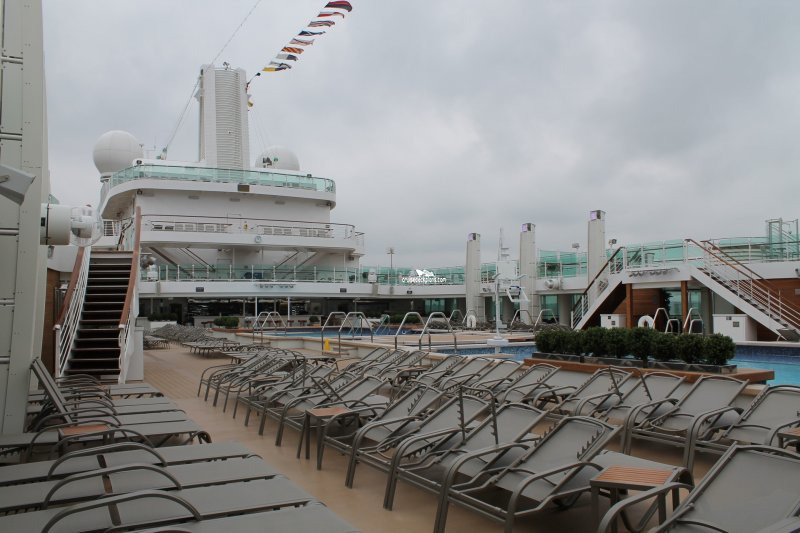 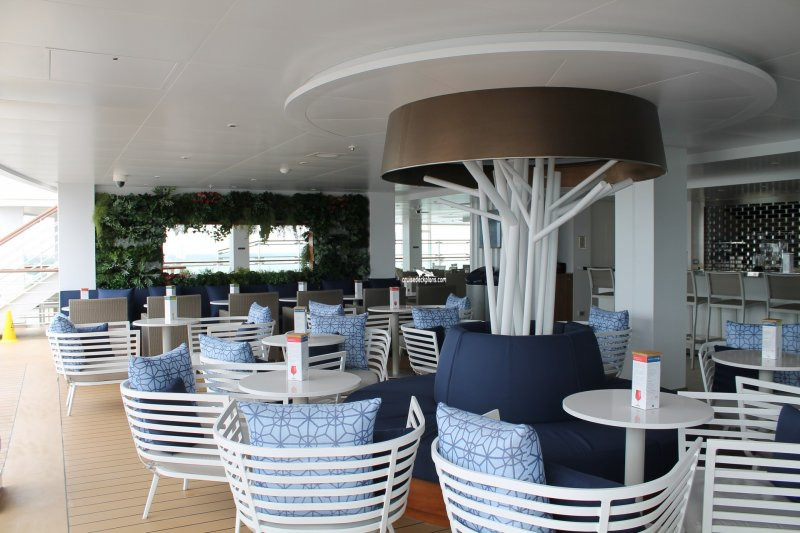 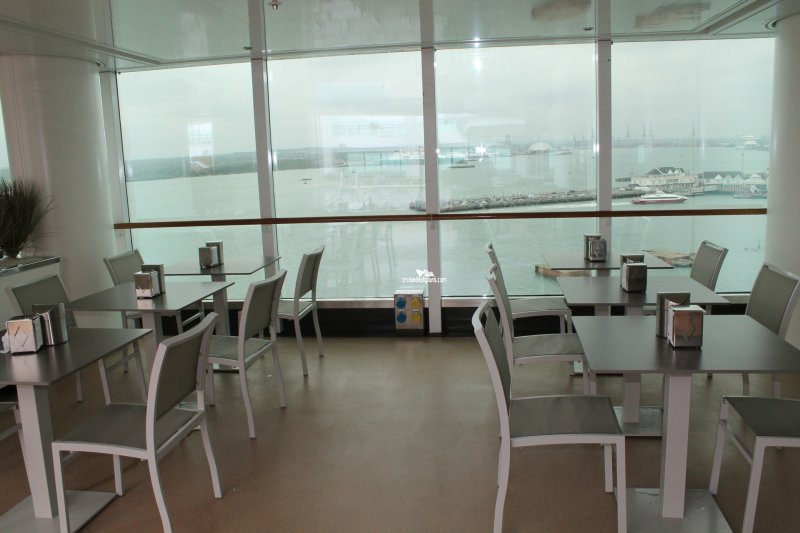 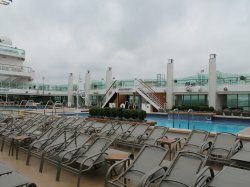 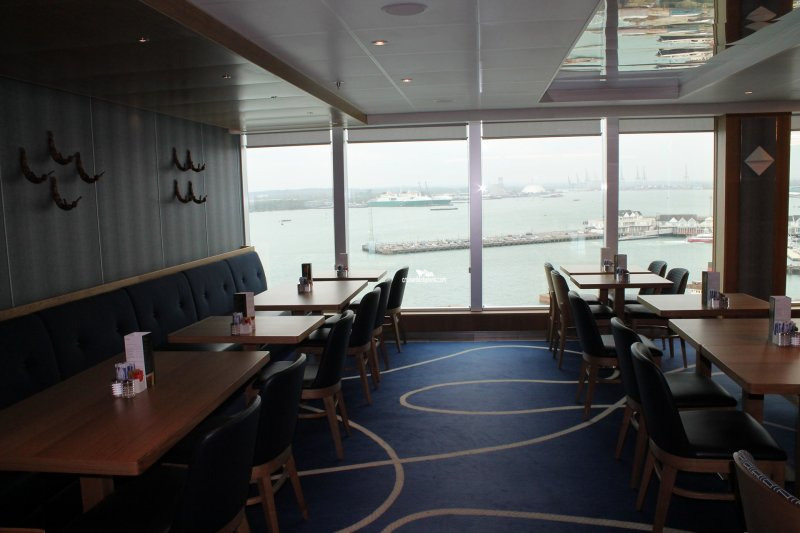 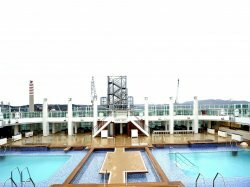 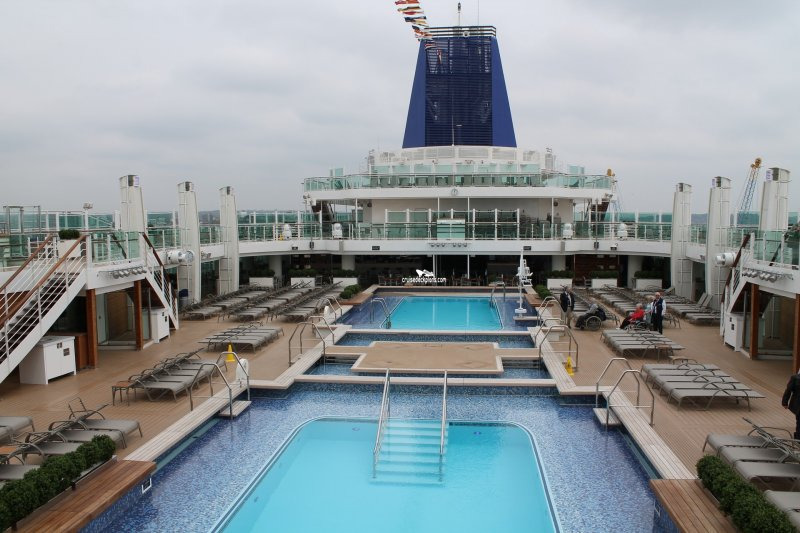 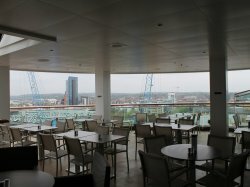 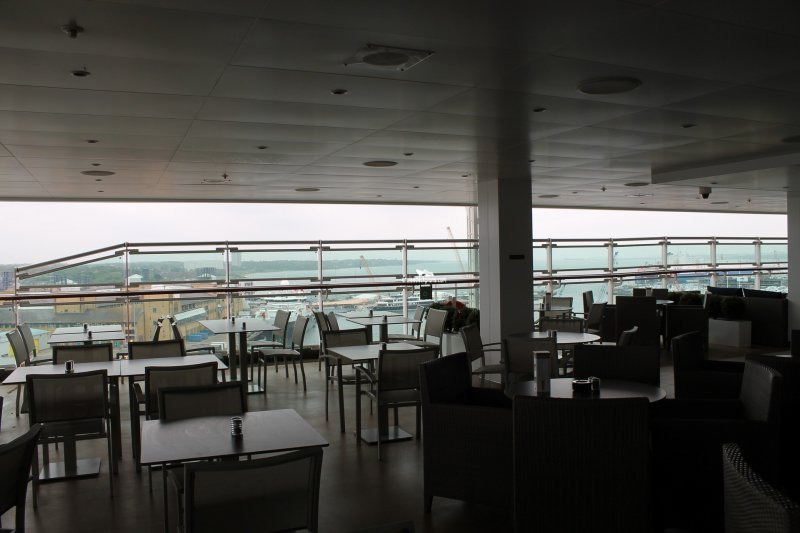 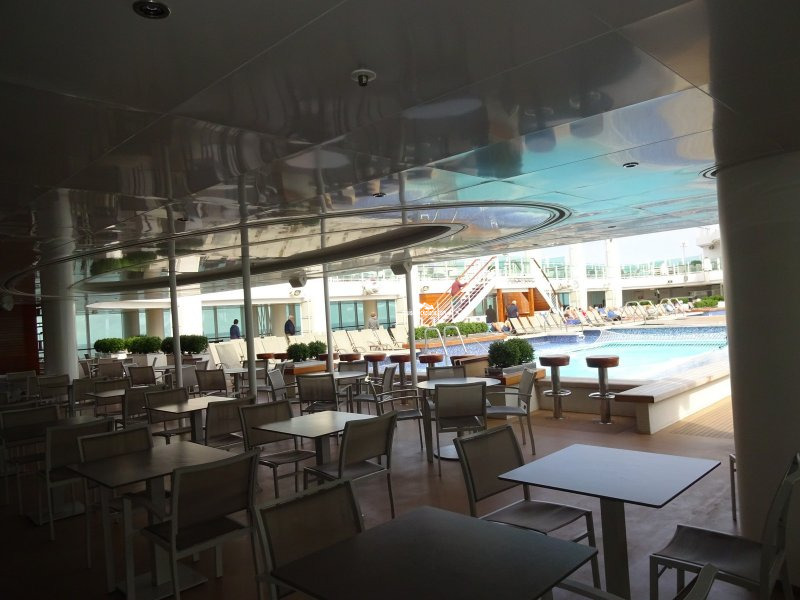 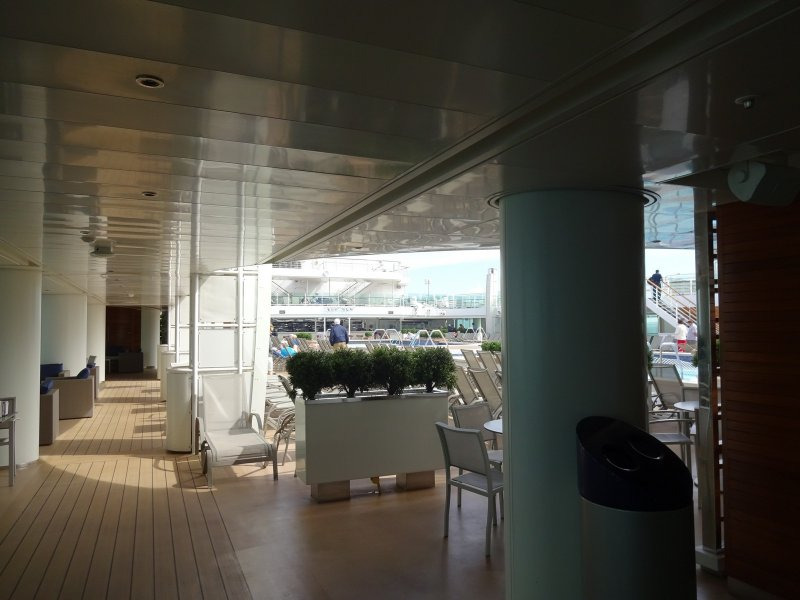 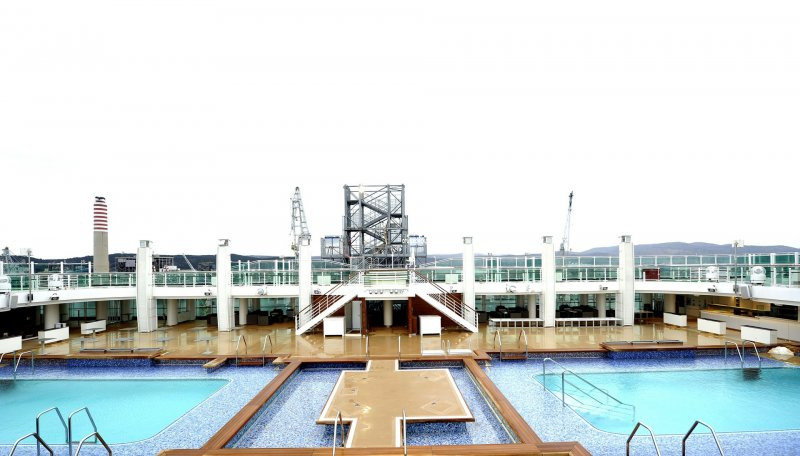 Overlooks the stern and has both open and covered seating areas. 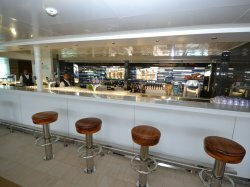 Offers drinks and and fast food.